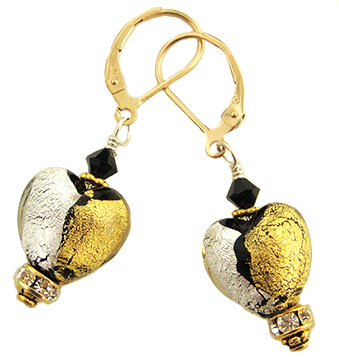 Our Abstract Heart Earrings are perfect for those that like silver, but love gold. 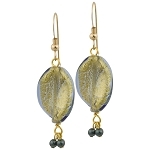 Each of these Venetian Beads has accents of gold and silver foil over a black base and are attached with gold-filled and gold-plated findings. 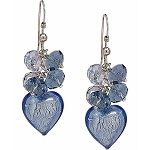 The Swarovski crystal rondelles add a little something extra to these earrings. 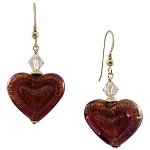 Genuine Murano glass.